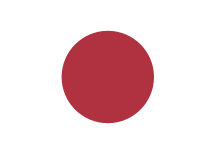 Japan competed at the 1964 Winter Olympics in Innsbruck, Austria. 1 Two minutes added per miss. Winners (in bold) qualified for the Group A to play for 1st-8th places. Teams, which lost their qualification matches, played in Group B for 9th-16th places. Athletes performed three jumps, the best two were counted and are shown here. This page was last edited on 17 December 2017, at 01:08 (UTC).